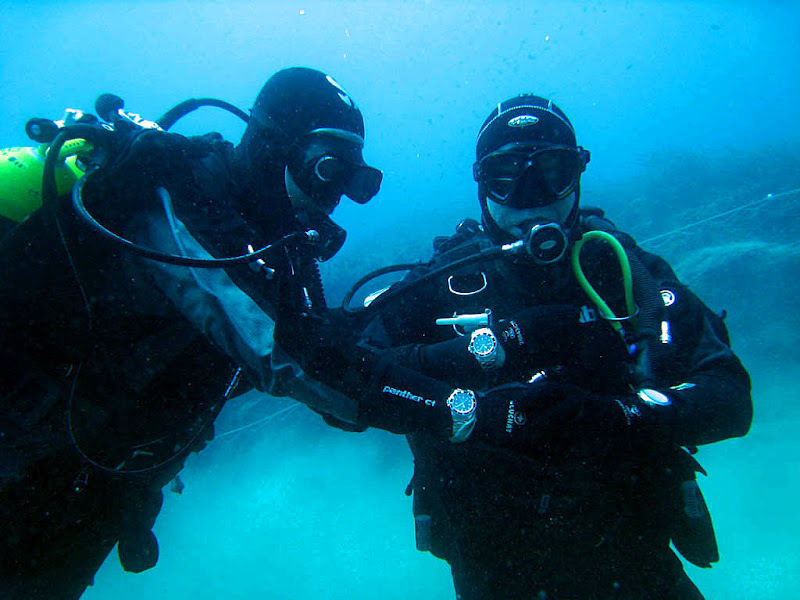 Jean-Michel (from France) and his diving pal, Olivier are both wearing Rolex Sea-Dweller models in the two photos below. Who says Rolex watches are not still used as tool watches!?! 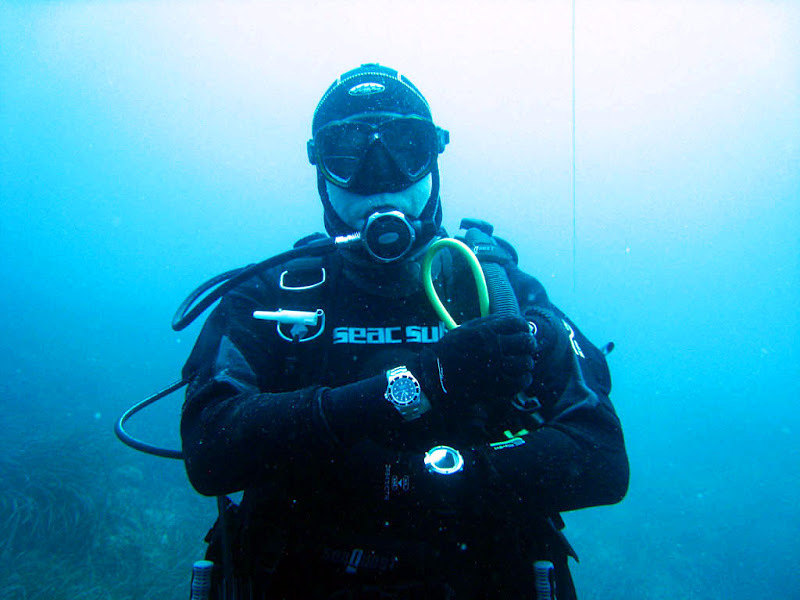 Jean-Michel is an geophysics engineer and he began his diving career when he was only 8 years old. Jean-Michel started collecting watches when he was 20 years old (He is 43 today) and he is extremely passionate about not only watches, but the history behind them. Jean-Michel has an AMAZING diving website he maintains that has incredible diving photography as well as diving history and photos and information on his huge diving watch collection. Jean-Michel's site is in French, but if you don't speak French, I highly recommend just clicking around. You can see his site by clicking here. Jean-Michel also maintains his own French diving forum that you can see by clicking here, as well as the Superb Omega-Speedmaster Mission website which you visit by clicking here, and the excellent Breitling Navitimer site which you can visit by clicking here.